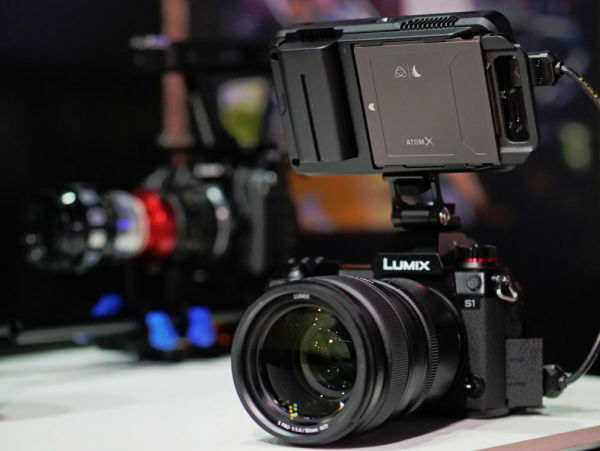 Atomos announces that the Ninja V and Inferno monitors/recorders can record the 4K/UHD signal output via HDMI as 10-bit 422 HDR footage (4Kp30) directly from the release of the Panasonic Lumix S1, either in the Apple ProRes or Avid DNx codec. This does not automatically mean that the camera outputs a 10-bit signal; according to the information Panasonic released on the launch of the Lumix S1, the corresponding functionality will follow a little later as an optional update and the HDMI output will be limited to 8-bit at 4:2:2 sampling until then. The full support of the new Hybrid Log Gamma (HLG) profile, on the other hand, is obviously implemented right from the start, because the Atomos monitor recorders access the HDR metadata in order to be able to display a corresponding HDR preview image during recording. The metadata is embedded in the ProRes or DNx files and is thus available for seamless output on compatible TVs or monitors.